We’ve all been there, haven’t we? Setting up camp after a long day in the saddle and we get around to making some food. That plastic spork just doesn’t cut the mustard when frying sausages, stirring stew and serving salad. “If only I’d brought some kind of lightweight tongs/spatula/spork multi-tool” runs through your head once again… after all, you’d made space to carry a full three course meal in your bar bag and a badly turned sausage will ruin the bottle of well aged Bordeaux you decanted before leaving. What do you mean this isn’t your usual bikepacking scran? Yeah, it’s more than a bit niche, but we like the cut of Full Windsor’s jib. 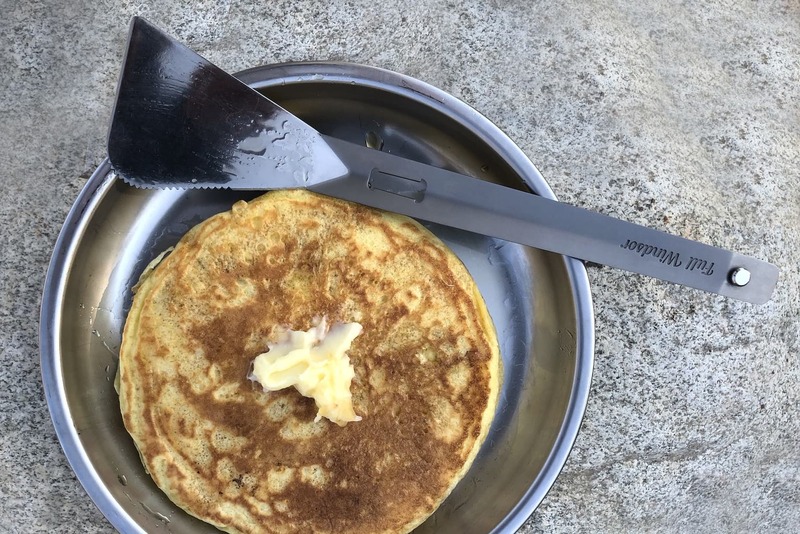 Hannah was amused by its last (successful) Kickstarter campaign for a camping multitool – the Muncher. The company makes the kind of stuff that is far from necessary, but maybe makes your life a little easier. This time, Full Windsor has reigned in the number of functions, and concentrated on the luxe end of eating outside. It’s a nifty little concept. As the name suggests, the Splitter is made of two separate titanium utensils, which fit together for travelling. The spatula and long spork, can be split and rejoined together, turning them into a handy set of tongs. 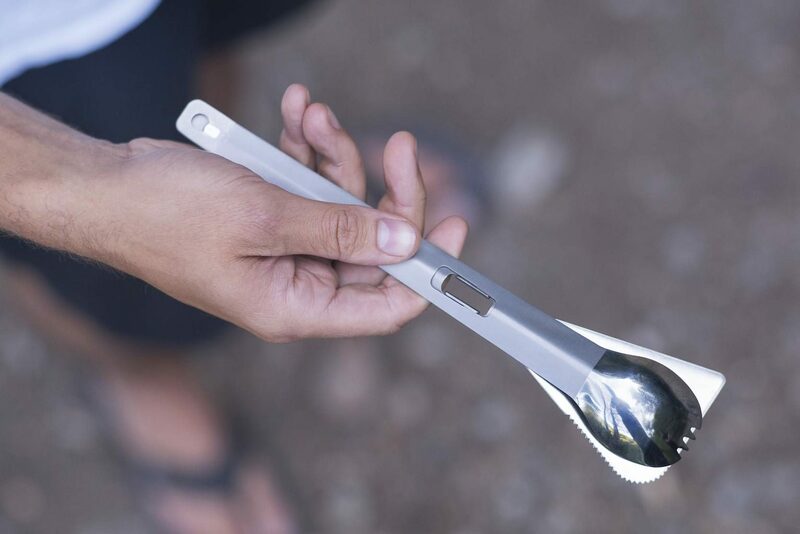 The long spork is perfect for getting into deep dehydrated food packets and can be used as both an eating and serving utensil (volume – 1 Tbsp/15 mL). The spatula has a chamfered edge that allows it to get under the fiddliest of food morsels. The spatula also features a serrated corner edge that allows it to cut into and check if food is cooked through, whilst cooking. 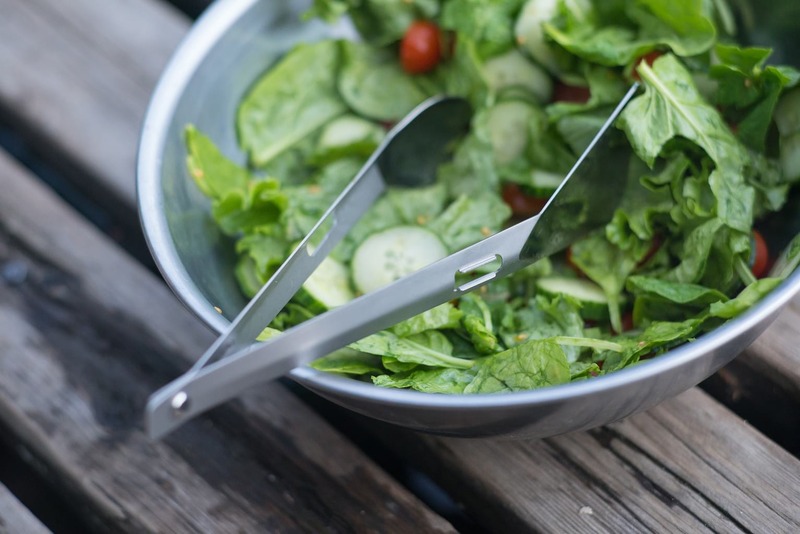 The joining mechanism for the tongs function of the Splitter is a small stainless steel pin fixed to the spatula that inserts into a keyhole slot in the spork’s end. 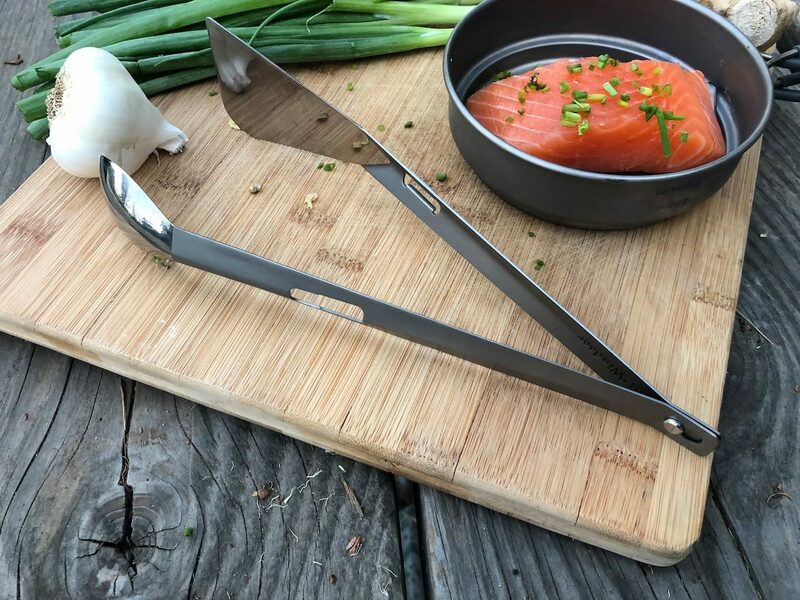 The tongs use the titanium materials flex to operate at the perfect force. 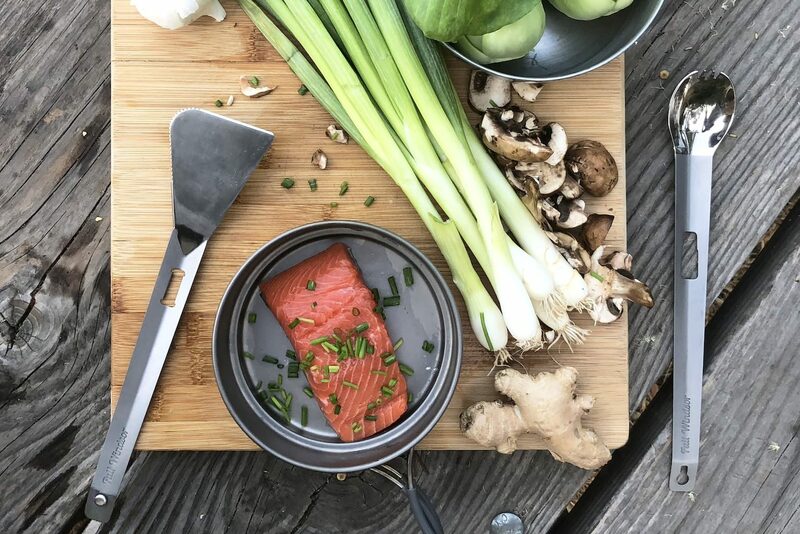 When joined together into tongs the spatula can still be used to get under food and then the spork grips down onto the items to grasp them firmly. 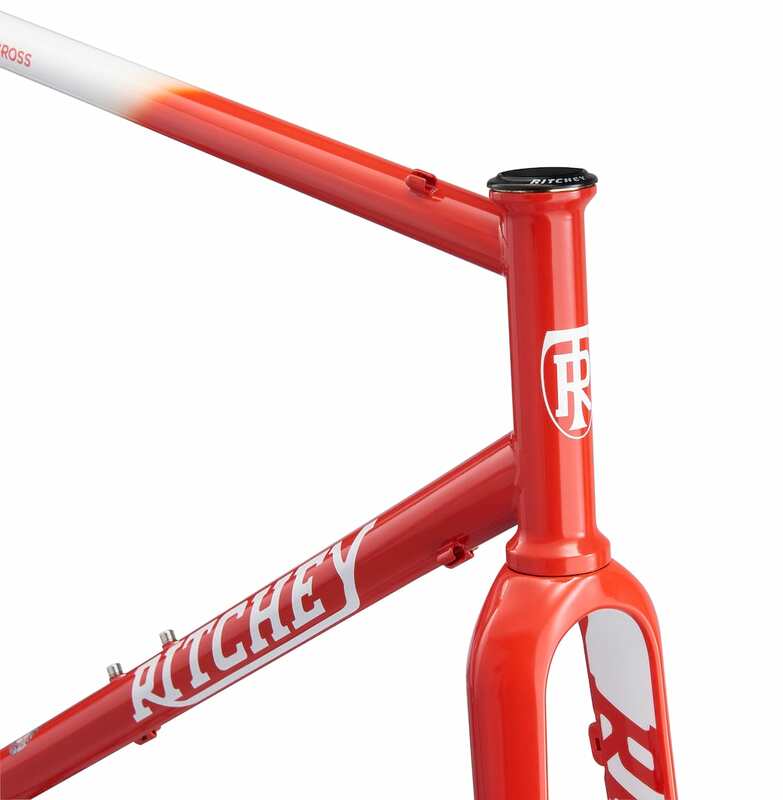 Its functionality makes it great for picking up all kinds of food. 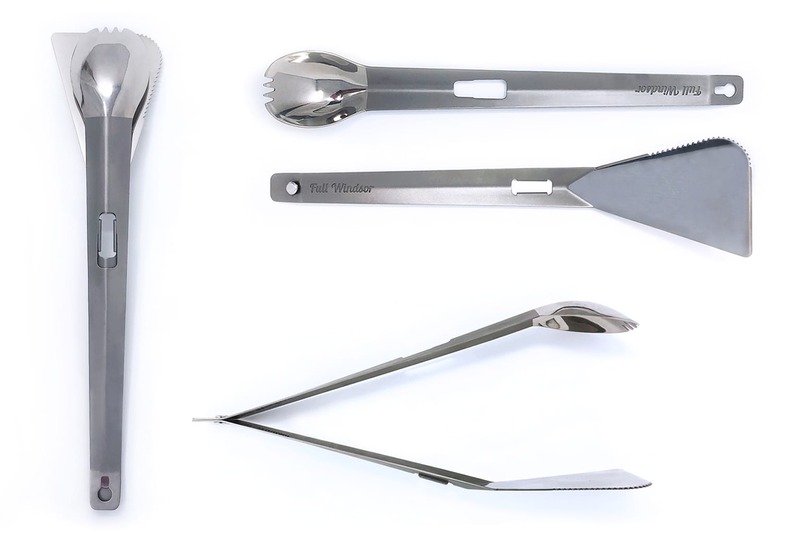 Both the spork and spatula feature a unique joining slot that allows the utensils to join together into a single compact unit when not in use. We have designed the connection so it is a simple click to separate the two utensils. 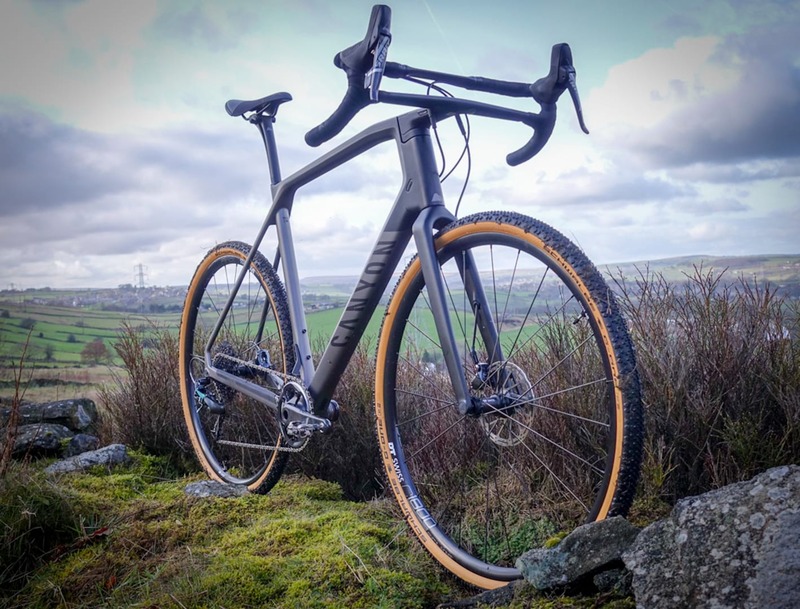 Full Windsor claims “It’s the pinnacle of outdoor utensils, made from the highest quality materials available.” Lofty aspirations and to be fair, we love a bit of titanium. The Splitter uses “aerospace grade 1mm sheet titanium. One millimetre might sound thin, but once it is three dimensionally formed into shape, it is very rigid. The reduced thickness is vital for the material flex needed for the tongs to function just so.” All this adds up to a tool that weighs just 50g. If you are keen to snap up a Splitter, the Kickstarter is running now and closes on 09/11/2018. If you are quick, there are a few earlybird packages, pricing the Splitter at $39. Once they run out, the Kickstarter price is $44. Full retail will be $60.